And as always, it's super easy to enter. All you have to do is take a look at Grainne's Stella & Dot website and choose your favourite item from The Summer 2012 Collection. Leave a comment below to tell us what it is (remember to add your name if your comment comes up as 'anonymous'). Make sure you give Grainne's Facebook page a like too and if you've any issues with commenting on the blog, just leave your comment there instead. ALSO everyone who shares this competition on Facebook or gives it a Twitter re-tweet will get an extra entry! Lovely items! After deliberation, my favourite would be the Adina necklace. I love longer necklaces, either worn long to add focus to a simple top, or doubled up to detail to a neckline. Love the coral colour, so summery and easy to wear and co-ordinate! Thank you for highlighting the website....so many beautiful pieces. My finances not thank you Avril!! Gorgeous jewellery! 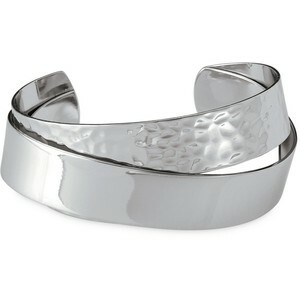 I think it'd have to be the Renegade Silver Cluster Bracelet for rock chick days. Thanks for the link - lots to look at! Bello bangle for me although it was hard to pick! Finally chosen the silver Goddess drop earrings. Could be worn with casual and dressy outfits. Lovely jewellery - just need a lottery win! Have been obsessively searching for a statement necklace but had yet to come across Stella & Dot, so it must be fate or something! I'd go for the Palamino necklace, which could turn a plain t-shirt and jeans into a killer outfit. Off I trot to look at the website again! Wow,love the calliah necklace,turquoise looks so fresh and summery! Love the Bahari necklace to go with lots linen t-shirts (Zara) and crisp white shirts. But also love the Odyssey ring in both Tourquoise and Lobradorite. I could go on! Love the Goddess teardrop earrings in silver. Just beautiful! Lindsay bangle turquoise simple but stylish love the colour! Loving the Adina necklace. I have a real thing about orange these days & this would be perfect with some new clothes i bought recently. I like the silver goddess drop earring. Gorgeous and would go with everything. It has to be the luxor link bracelet! I love the jewellery. What a great competition. Oh I loooove the Carrie bangles. Fab! Ohhh so many lovely things on there - I adore the coral Palamino necklace - exactly what I've been looking for though sadly outside my budget! Thanks for such a lovely giveaway both! Love the Soiree Earrings in silver and the Corso Silver Cuffs! My favourite has to be the Carrie Bangles. They are such beautiful summery colours. They are timeless and that's always a good thing in my book! Gosh, too much to choose from, I like everything! If I had to choose one piece it would be the calliah necklace. It would look great with a white vest, some dark denim Capri pants and some silver sandals. Bring on the sun! I am loving the Eleanor bangle in coral, very bright and would be perfect with a fab orange dress I have. It's the Eleanor and Lindsay bangles for me....why oh why did you have to introduce me to more jewellery! Beautiful! The Palamino coral necklace does it for me! It would make even an old T shirt look stylish! I've thought long and hard and...i can't decide! I love the Isadora pearl bib as a statement piece (i have a navy blazer from Reiss that i can totally see with it! )or the tranquility necklace for a more chilled out look. Oooh I LOVE everything in their Summer collection, but if I HAD to choose I would go for the Lindsay bangle in pink as I have some skinny coloured jeans which are the exact same colour and they would match perfectly! I have shared your comp on twitter too! What a gorgeous collection! Hard to choose a favourite, but as I have to here, I'd say the Palamino necklace. I love everything but particularly the Callahan necklace. So much to choose from! I love the Odette bangle because it's so simple but stylish and would go with everything.Good luck to everyone in the competition! Hmmmm its tough one as we spoilt for choice with all those summery styles. I think it has to be the Cameron Pendant. I love the Eleanor bangle in the turquoise, especially as Eleanor is my daughter's name ;). Spoilt for choice, but I love the Carobella hoops! Can I have one of everything please? I love the carrie bangles best, make me feel nice and summery despite the weather. If I am having to wear an autumn wardrobe my accesories can at least look fresh and summer like! The turquoise Calliah necklace screams summer. Paired with a plain white vest top and a tan, it would be amazing. Beautiful Jewellery, but loving the silver renegade cluster bracelet. I was not aware of the this website but will definitely be looking at it in future! Jill. Has to be the Renegade Cluster bracelet, it's a fierce looking bracelet that would work with my fierce heels!!! Far too many gorgeous things to pick just one but I love the CAROLINE PENDANT NECKLACE. I love it all, but if forced to choose it would be the Callie bracelet for me. Just gorgeous! I love the Rhea bangles - simple yet elegant and perfect for summer! So many beautiful pieces, I absolutely love the Calliah necklace, it's gorgeous. It would have to be the Eleanor bangles - would look fab on holiday with a tan. Yes, I'm wishing the rain away and willing the sun to make another appearance this summer!